See What This Dad Did That Saved His Daughters Life, But Landed Him In Jail. Adam Koessler is a loving father to his girl daughter, Rumer Rose. As any father, there was nothing he would not do for his little girl. So when Rumer came down with Stage 4 neuroblastoma cancer, which has only a 50% survival rate, he was willing to do anything to save his daughter’s life. Koessler Began natural treatments which involved organic/gluten-free home-cooked food, alkaline water, and essential oils. To his disappointment, none of those treatments were having a positive effect on his daughter. It was at that point Koessler turn to cannabis oil for treatment. Remarkably, Rumer showed improvement in her condition with the cannabis oil. Good job dad! Right? Well, not in the eyes of the Australian government, where cannabis is illegal. 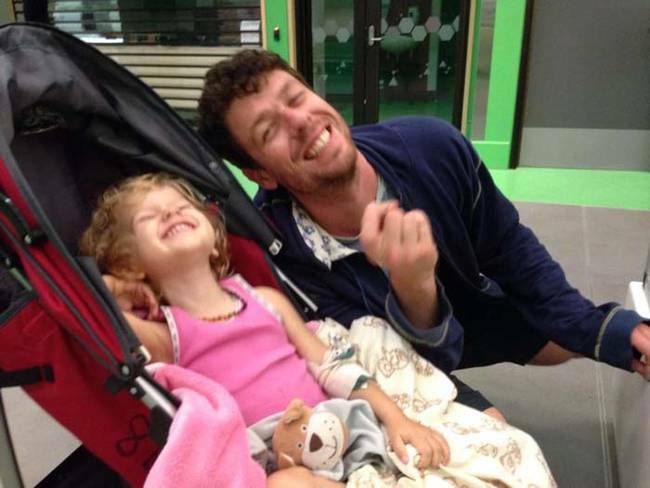 Koessler was arrested and put in jail for treating his sick daughter with cannabis oil, even though it saved her life. It did not matter to authorities that in Rumer’s condition she needed her father. They arrested him anyway. Many believe that cannabis oil, which is a highly concentrated form of marijuana, is dangerous. However, the results do not lie. Koessler saw a remarkable improvement in his little girl. 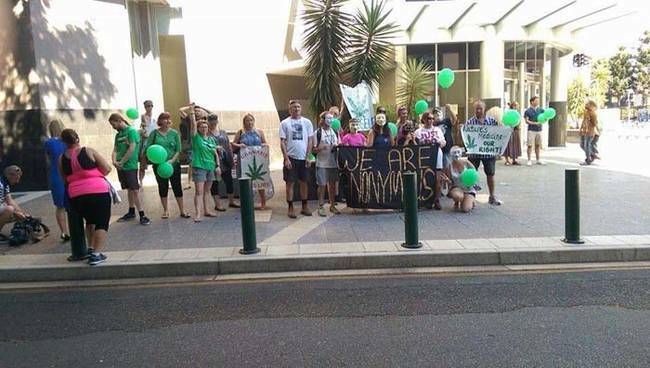 Even so, it is illegal to possess and distribute cannabis oil in Australia. 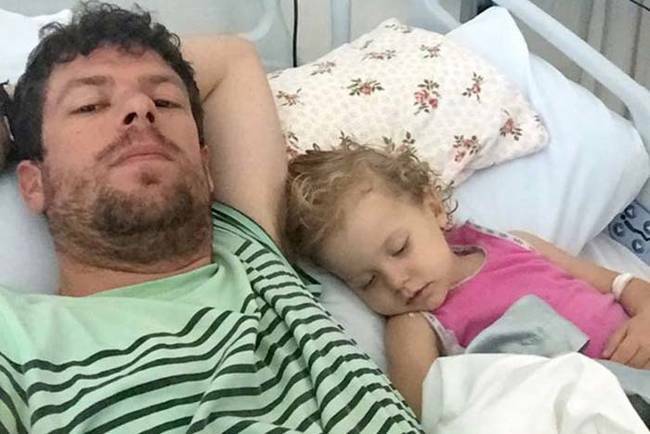 Not only was Koessler arrested, but he was barred from seen his sick daughter. 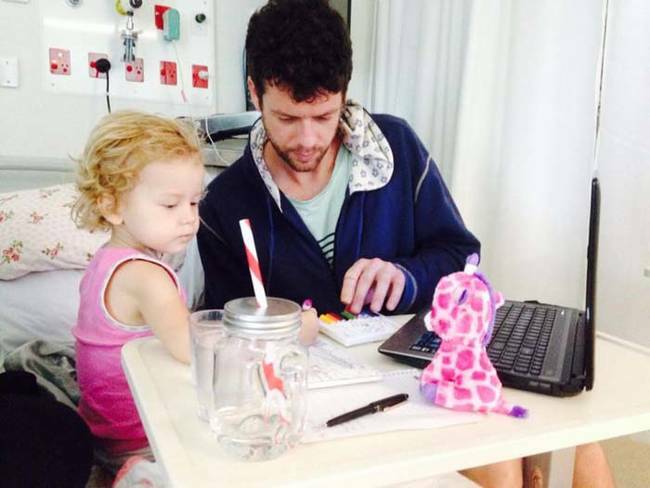 A petition was quickly posted on Change.org which gathered nearly 140,000 signatures asking Australian politicians to intervene and allow Koessler to see his little girl. Koessler had not been able to see Rumer since January 2. Koessler Did what any other father would do, and attempted to visit his daughter at the hospital even though it violated the conditions of his bail. When police were called, they refused to intervene which allowed Koessler to spend some time with his daughter. This is a ridiculous measure being enforced by Australian authorities. 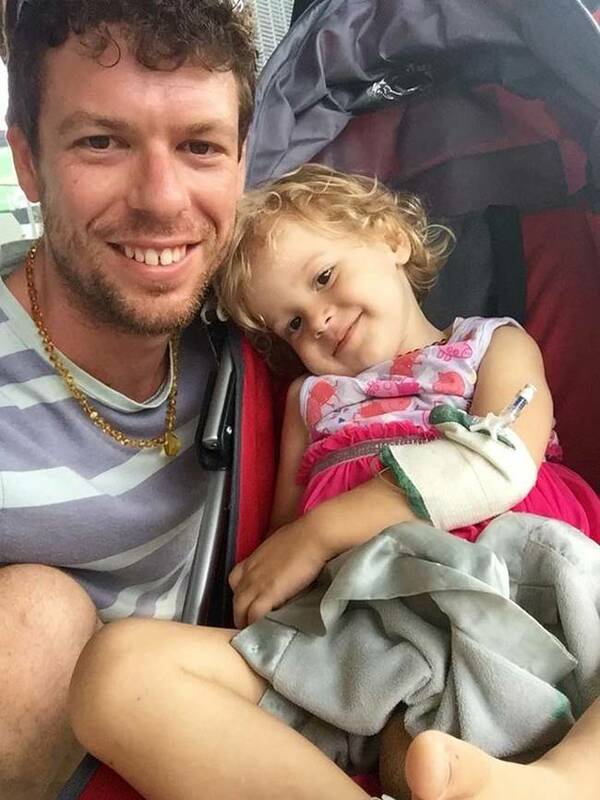 We hope that Koessler and his little girl can reunite again and that the Australian government stays out of his right as a father to do what he feels is in the best interest of his child.